At the Frankfurt Auto Show in Germany, the latest, greatest, and most cutting-edge SUVs were on full display. The popularity of SUVs continues to grow, and consumers got a preview of the latest trends that will soon be populating car showrooms—and the road—in 2018. The BMW X7 boasts three full rows of seating, easily showing why full-sized SUVs are in such high demand. Designed to compete with the Cadillac Escalade and Lincoln Navigator, the X7 takes its cues from the X5. The X7, however, was designed specifically for the American market and will be produced at BMW’s South Carolina plant. Debuting with the X5, the BMW X3 also offers an interior retool. Now with more space inside for rear passengers, the X3 showcases two more engine models. Its smaller size proves nimble for sharp handling, while multiple packages allow customizable luxury. Bonus: A full eight inches of ground clearance. Fitting in between the large X7 and the smaller X3, Porsche showed off its latest model of the Cayenne. Lighter and more powerful than ever before, the cabin is still heavy on technology. What has changed is the softening of the SUV’s angles, leading to a less stark appearance. 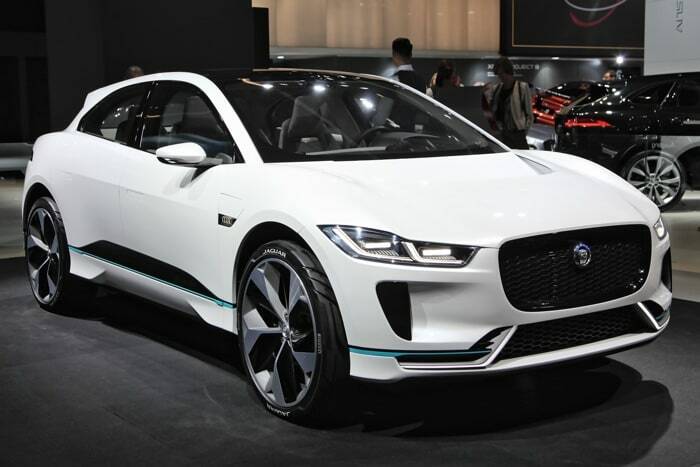 After recently introducing the company’s first SUV, Jaguar is now releasing its smaller cousin: the E-Pace. Designed to compete with the Audi Q5 and the BMW X3, the E-Pace packs plenty of charm into its overall package. With strong performance power and quintessential Jaguar styling, this vehicle is ready to wow. Competing among a different group of SUVs than the luxury brands, Volkswagen unveiled the new T-Roc compact SUV. The smallest SUV yet designed by Volkswagen, the T-Roc promises sporty handling and fuel-efficiency not seen in the Tiguan. Not officially announced for American import yet, the slightly larger build of the 2018 Tiguan indicates that it should be shortly announced for the U.S.
Outside of the SUVs, automakers also announced technology packages for their luxury sedans. The 2019 Audi A8 boasts its most advanced driver assistance system to date. The 2018 Mercedes-Benz S-Class also introduced cutting-edge driver assistance systems, along with a plug-in hybrid model. Thanks to all of the new and updated SUV models and luxury packages now available, 2018 is slated to be a banner year. And with European automakers concentrating on the American market, U.S. drivers have more options than ever before.